Lee Soo-Man, the founder and the producer of S.M. Entertainment makes to Variety 500 list as one of the world's most influential business leader in the global entertainment industry. 'Variety', founded in 1905, is a well-known American cultural magazine. This year, Variety launched 'Variety 500' which 500 most influential business leaders are selected by Variety's editorial board based on 17 different categories in the global entertainment market. S.M. 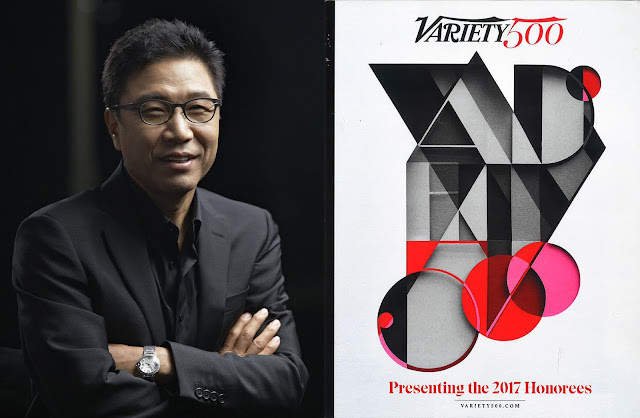 Entertainment's producer Lee Soo-Man are included in the 'Overseas Overseers' category which reflecting his accomplishments over the past 12 months. 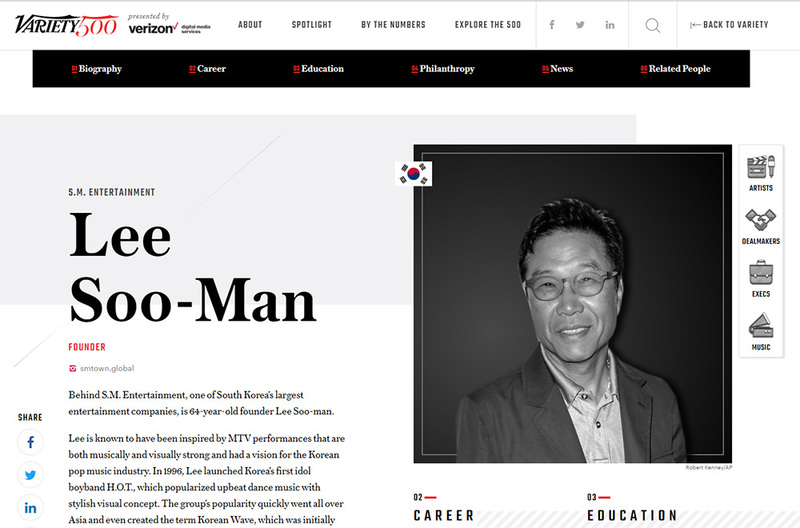 Lee Soo-Man's profile in Variety stated that the founder has been inspired by MTV performances which are both musically and visually strong and had a vision for the Korean pop music industry. Variety further added the founder "launched Korea's first idol boyband H.O.T, which popularised upbeat dance music with stylish visual concept. The ground's popularity quickly went all over Asia and even created the term 'Korean Wave' which later K-pop become a trend that spread beyond Korea." Asides, Lee Soo-Man has been awarded by 'Asia Society' last year thanks to his contribution in spreading K-pop culture around the world at '2016 Asian Game Changer Awards'. Also, the founder was the first figure to receive '2016 Youngsan Diplomat of the Year Award' given by Seoul International Forum Youngsan Diplomat Award Committee thanks to his contribution as a cultural diplomacy leader back in July 2016.